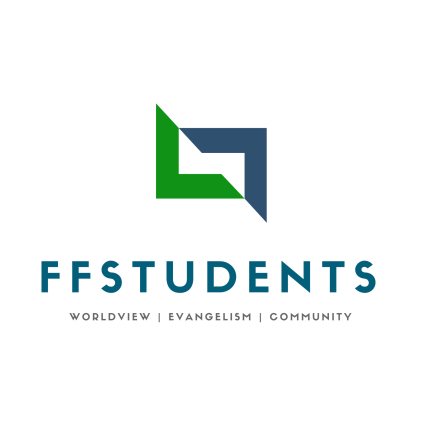 The Student Ministry at FFBC exists to pour the gospel into the lives of teenagers and show its practical applications in every area of their life. When we gather, we talk about the work of Jesus on the cross a lot because what God has done for us through the gospel is enough to satisfy all of our needs and give hope and help to every situation we face. We aim to help shape our students' worldview (and know the worldviews of others) while at the same time equip students for peer-to-peer evangelism because changed lives, change lives. When students who have a gospel-centered worldview are actively sharing the gospel with their friends, communities centered around Christ will form and multiply. All of our services, outreach, teachings, and events are aimed at this one goal: that students would be discipled and become disciple makers. Wednesdays are a relaxed atmosphere where students 6th-12th grade can come hang out with their friends and be refreshed with truths of the gospel. Togther we pray for one another, challenge each other and encourage one another to remember the promise and power of the gospel to carry us through the rest of the week. Once a month, students are downstairs for mid-week service with adults, but you can join us for an Out-to-Eat night for food and fellowship after. Out-To-Eat Night Wednesday April 17: Students will be downstairs for Mid-Week Worship. Join us for student hang out at Culvers on North Park Dr after service.